Jackson falls has the largest number of climbing routes in Illinois. Located in a forest canyon the 30-70 foot walls offer slopers, various sized pockets, roofs, and slabs. Jackson Falls is in the Shawnee National Forest in southern Illinois. It can get hot and humid in the summer but there's plenty of shade. 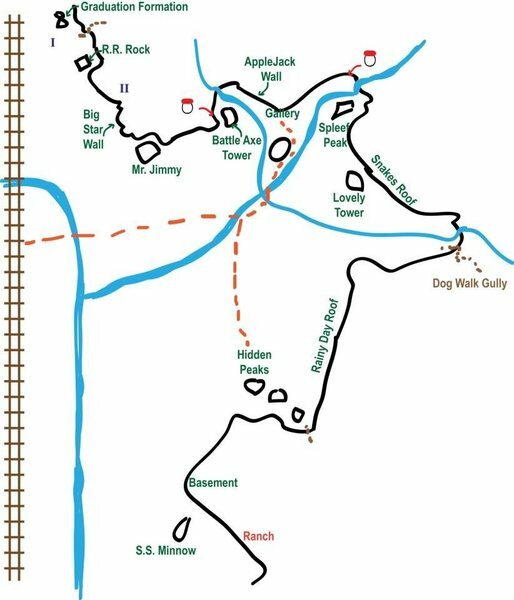 Breakdown of all the roped climbing areas for reference. Founded in 2002. The Illinois Climbers Association is a charitable organization representing the climbers of Illinois. We are dedicated to preserving climbing and bouldering access in Illinois through education, conservation, and cooperation. Click HERE to donate towards the Illinois Climber Association's re-bolting cause. From I24 turn North on highway 45 turn right (East) on Ozark road for about 4.5 miles. Turn left on Trigg Tower Road to the first farmhouse and turn right. The parking is about 2 miles down the dirt road just before crossing the creek. 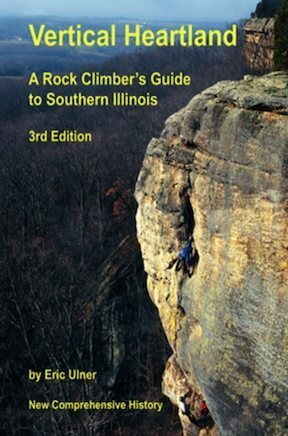 In Illinois there are 3 guide books for the southern portion of the state. The first is Eric Ulner's book Vertical Heartland. His guide is a good representation of the legal climbing destinations in the state and primarily focus on sport and traditional climbing. The second is Matt Bliss's book Sandstone Warrior. 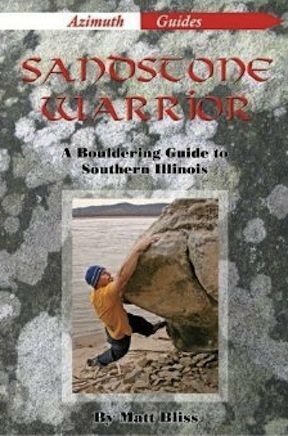 His guide beautifully lays out the majority of the bouldering found in S.I. and includes quality color photos to aid in your boulder problem deciphering. These two guides provide you with all the necessary tools to navigate our local crags. Pick them up and go enjoy the climbing that Illinois has to offer. The Dr. Topo guide says turn right on Glenn Falls Road, which apparently has been renamed Street Road. The rest is accurate. A lot of the routes posted for Jackson Falls contain sparse info. Sorry to double post but this didn't seem appropriate for a condition report. After an intense day of climbing this campground was about 25 minutes away and had hot showers for $3 a person. They also sell ice and firewood. Looking to see if anyone want to fly(in a plane) down with me for the wknd. to Jackson Falls leaving Friday(10/28) AM and returning Sun. Aft? We tried to climb when it was moist and not possible. All the holds have buckets of water and moss and fungus in them. You have to let it dry out for a couple days. Cedar Lake Campground for 2 nights $15/night. Wifi, electricity, showers, super friendly people. Showers need to be cleaned and redone but usable. Jackson Falls just became our local crag and I'm looking for more partners! My wife and I currently go out about once a week. We mostly climb moderates and I'm starting to get back on harder stuff. If you are around let's climb! The bolt hangers at the top of the route next to the north waterfall were wrapped in tape (so people could rap in on them) so I added quick links 9/7/15. Hope this is ok. I didn't have a wrench and won't be back to the area any time soon so if someone else could crank them down I would appreciate it. See maps at mountainproject.com/v/10675… and mountainproject.com/v/10835… for parking, camping, and access points to the canyon. 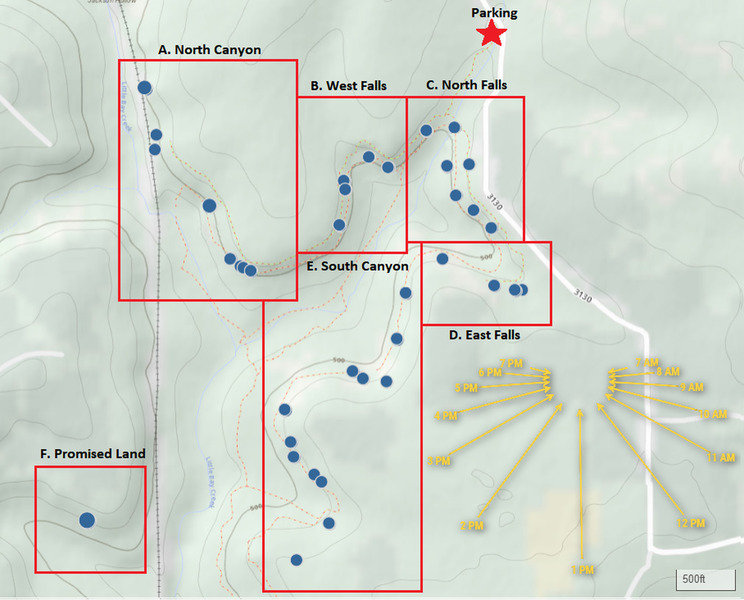 There is free primitive camping available at the main parking lot as well as on the side of the dirt road after crossing the creek. There are poison ivy and ground bees throughout the forest including near camping areas, next to trails and next to climbing routes. Be able to identify poison ivy and avoid it.